Her leaders turned ice-locked Earth into a bitter land. His cause could save the planet. Reynal's dream of shattering the cloak of ice choking out the sun suddenly seems possible when the eighteen-year-old delivery boy discovers he is the secret key in a two-hundred-year-old plan to end the perpetual Ice Age. But Rey soon learns the tyrannical high-tech rulers will stop at nothing to keep Alice from arriving, making Rey a target. Odessa can’t wait to start her new MEDcadet assignment on Earthland. But when the genetic hatchling witnesses her superiors murder her professor, the security force pins the crime on her and her fellow podmates. Before a cruel and unjust punishment can be carried out, Odessa's desperate cries for help are answered by someone she never expected... a rebel boy. Torn between her loyalty to her leaders and the rebel forces she once considered enemies, Odessa must make a terrifying choice. As Rey embarks on a mission to save Earth, his trust in his former enemies could be his undoing. 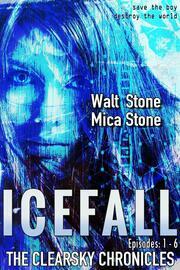 Icefall is the first book in The Clearsky Chronicles, a series of imaginative YA sci-fi post-apocalyptic novels. 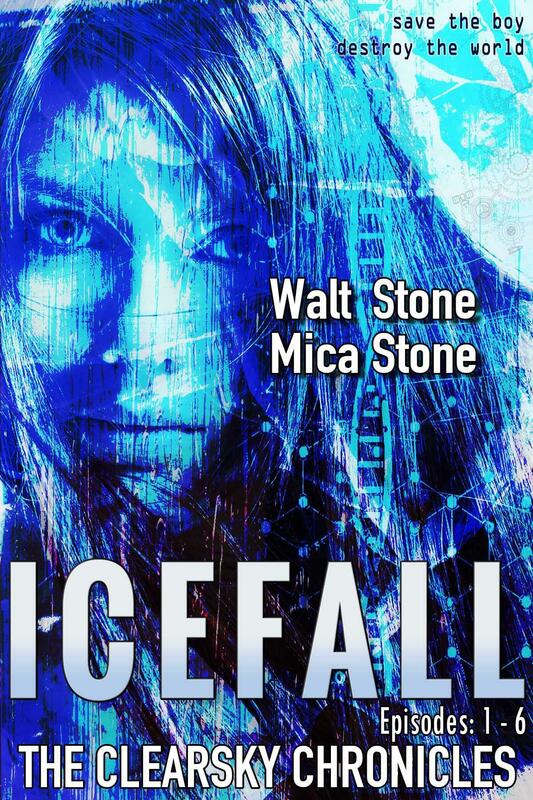 If you like fast-paced adventures, colorful casts of characters, and tales of rebels vs. the empire, then you’ll love Walt and Mica Stone’s thrilling tale.